Showing 1 - 1 of 1 Products for Throttle Position Sensor. 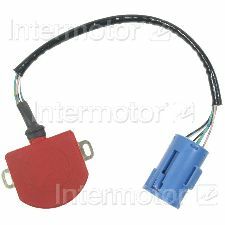 Our Throttle Position Sensors maintain specific installed outputs to match OE rather than adjustable consolidated designs. Circuits are printed on flexible polyimide film or ceramic-based substrates for excellent dimensional stability preventing electrical performance drift. Noble palladium/gold/platinum alloys provide low contact resistance for extended service life. Each TPS uses integral rotor bearings and return springs for easy installation. Each sensor undergoes rigorous end-of-line testing with thousands of data points to validate output voltages for optimum performance and trouble-free operation. Featuring the broadest sensor coverage in the market, we meet the service professionals needs with the highest quality product every time he opens the box. As a global manufacturer of emission components, complete quality control is maintained through the manufacturing process from componentry to finished product.